A Columbus man has been sentenced to more than 13 years in prison for trafficking heroin. Jesse Gomez, 29, appeared Tuesday in Delaware County Common Pleas Court after he pleaded guilty at a hearing last week to three counts of trafficking in drugs, one first-degree felony with a major drug offender specification, one third-degree felony, and one fourth-degree felony. Court documents indicate the major drug offender specification carries a mandatory 11-year prison sentence. 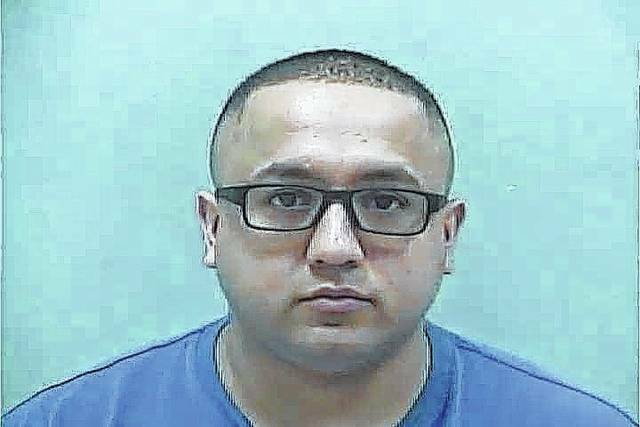 Assistant County Prosecutor Brian Walter told Delaware County Common Pleas Judge Everett Krueger that an undercover police officer purchased drugs from Gomez numerous times from March 2016 to June 2016 and said the amounts the officer bought started small — 3 grams — but eventually grew to more than 100 grams. Walter said Gomez told the officer that if he gave him a day he could get him as much as he wanted, if he could pay for it. Walter said police once followed Gomez to an apartment being rented by Gilberto U. Perez-Tapia, 33, and Alejandro E. Chavez-Guzman, 29, where they found approximately $15,000 in cash and nearly 400 grams of heroin. Walter said police also searched Gomez’s vehicle where they found 172 grams of heroin. Walter described the operation as “massive” and said the case had more heroin than he had seen in any of his previous cases combined. “Frankly, this is what the major drug offender specification is for,” Walter told Krueger. Walter asked that he give Gomez consecutive prison terms for the other two charges as well and said the amount of heroin in the case could have created between 9,000 and 10,000 addicts. Hillary Santiago-Burgos, Gomez’ defense attorney, asked that Krueger give him concurrent sentences for the other two charges and said Gomez “is not the major player” in the case and wasn’t profiting from selling the heroin. Krueger sentenced Gomez to the mandatory 11-years in prison for the major drug offender specification, then sentenced him to 30 months for the third-degree felony charge, and 18 months for the fourth-degree charge. Krueger specified that the 30-month sentence would be served consecutive and said the 18-month sentence would be served concurrently. Krueger credited Gomez the seven days he spent in the Delaware County Jail during the case and said when he is released from prison he will be subject to five years of post-release control. Gomez was indicted in February along with Perez-Tapia and Chavez-Guzman, who were also charged with seven counts of trafficking in drugs. Perez-Tapia was also charged with one count of possession of drugs, a first-degree felony. However, Perez-Tapia and Chavez-Guzman have not been arraigned because they have not been located by authorities, court documents indicate. Warrants for their arrests have been issued. Glenn Battishill can be reached at 740-413-0903 or @BattishillDG.